The original 8mm cine film cartridge was metal.This time however, the 8mm cine film cartridges would be made of injection-moulded plastic. Cartridge loading eliminated the threading of the film. No flipping of the film load was required. The entire 50-foot cartridge could be shot without interruption. 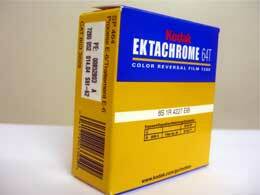 Rather than manufacture both a “Daylight” and a “Type-A” (Tungsten) form of the new film. Each Super 8 Camera would have a built-in filter. Making it possible to make only the “Type A”” product, which could be used in either kind of light. The perforations (sprocket holes) were reduced in size. Allowing for a wider image area that was about 50% larger than standard 8mm film. Maximizing the film width was a concept that originated in France by Pathe, with their 9.5mm camera system. The perforations were also moved to a point adjacent to the centre of the film frame. Making steady registration simpler. 16mm and standard 8mm formats had placed the perforation at the corners of the frame to reduce fogging of the image at the head and tail of the roll caused during loading of the film. Since Super 8 was a cartridge-loaded product, this was no longer an issue. Virtually all Super 8 Cameras would have built-in light meters, a feature dating back to the early 1950’s in 16mm and 1960 in 8mm cameras. The cartridge itself provided information to the camera about the speed (ASA) of the film inside and filter information in the case of black-and-white products. Precision notches were set at specific points on the edge of the cartridge, activating mechanical or electronic switches in most Super 8 Cameras. Most Super 8 Cameras were built with battery-powered motors, eliminating the need to wind a spring-driven transport.